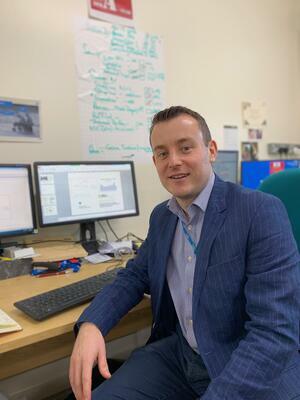 In 2013 David Chalkley joined the newly formed Musgrove Park Hospital digital team, established to support and prepare the trust through a digital transformation programme, including the implementation of an electronic prescribing system. Initially, he joined the digital programme to lead the selection of the e-prescribing system, working within a multidisciplinary team to assess the broader needs of the e-prescribing implementation. Over time the role led to involvement in a wide range of clinical process digitisation and decision making, across a range of clinical areas. 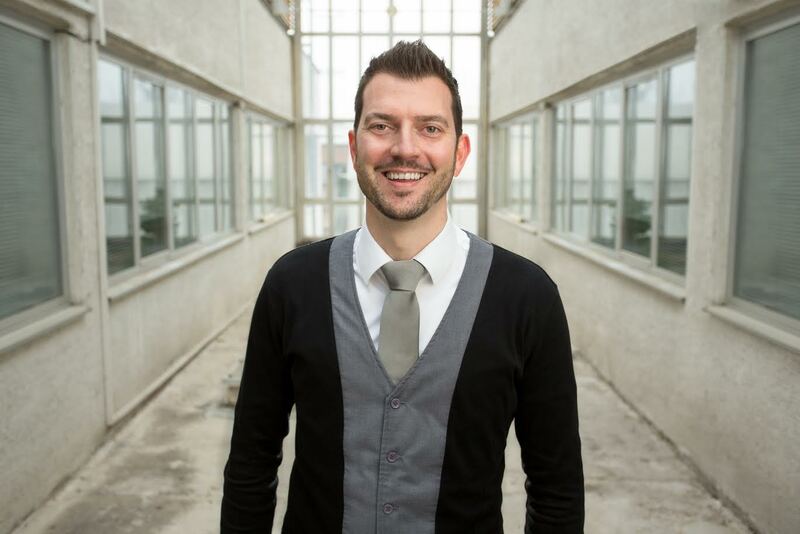 David has become one of the leads for the overall digital clinical strategy, particularly in the field of solution design and clinical safety. Before the procurement of the electronic prescribing system started, he led the process of forming, upskilling and mentoring the project team and the setting of a digital strategy for e-prescribing and medicines administration (ePMA) moving forward. In this interview, Mr David Chalkley, Deputy CCIO and Digital Clinical Safety Lead at Taunton and Somerset NHS Foundation Trust, told us more about his experience of selecting and preparing to implement an ePMA system. As he said, in a big team each team member has different knowledge and strengths that in the end are the key to success. Let us start with a digital programme. Could you explain what the digital programme is within your trust? ‘Our trust is one of the NHS global digital exemplar sites. We have central funding over three years to accelerate our digitalisation and the transformation of services using digital solutions via a digital programme. The exemplar status is a recognition for the way we not only implemented an open source solution but also the way we brought together a clinically led programme team. This programme gives our trust the opportunity to work differently, forming partnerships with suppliers to help us accelerate digitalisation. It also gives us the opportunity to invest in skills and capability within our team and focus on things like person engagement, to allow patients and staff to contribute to systems, solutions and process design in a meaningful way. Ultimately delivering the transformation of care delivery through a collaborative approach. 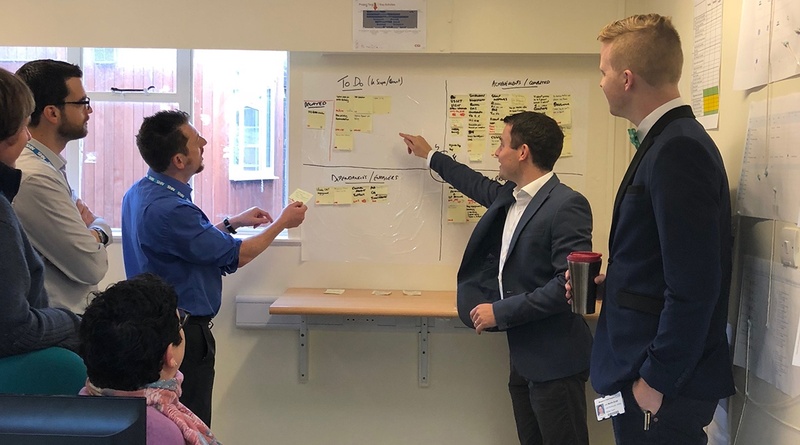 Our trust has made a significant investment in a multidisciplinary team of clinicians, IT and project staff to lead, manage and deliver the implementation of a digital strategy and the new healthcare solutions within the hospital. What about the ePMA Lead? Who is the ePMA Lead and is one person enough to lead the electronic prescribing system implementation? ‘One of our key initial steps with e-prescribing was to make sure it was not seen as just a pharmacy system, ensuring that it was not pharmacy’s responsibility to own and drive forward the ePMA vision. ePrescribing is a key part of the overall clinical digital strategy, and therefore a core part of our digital programme. We ensured it has the same level of clinical ownership, skills investment and person engagement as any other major programme or project that what we have in our digital portfolio. We wanted to avoid burdening any one individual with the sole responsibility for ePMA implementation instead utilising our emerging team of digital clinical leaders from different professions to lead the project. The project has a consultant lead, a pharmacist lead, a nursing lead, with me overseeing the overall ePMA strategy. Are you saying that a multidisciplinary approach is the best key for implementing an e-prescribing system? What do you need to become an ePMA Lead? What are an ePMA Lead’s key competencies? ‘This is quite an interesting question ... I would say that you need a level of credibility within your fundamental understanding in both clinical practice and also business and organisational function. An ePMA Lead should be somebody who is quick to learn and adapt to different environments, somebody who can engage with a wide range of stakeholders and open up their way of thinking beyond just their own specialism or the experience at which he or she has worked to that point. This person needs to be able to see a broad picture from a range of different angles and distil that back down into the opportunity and challenges that digitalisation and transformation will bring about. What would you say are the key challenges while establishing ePMA implementation team? ‘One of the challenges we identified is finding the right people who are prepared, with the knowledge and skills, to take the chance to do something different. There are a lot of very capable and skilful people out there, but it’s a significant shift in the digital programme environment and quite a significant step away from clinical responsibilities to project responsibilities. The second challenge is ensuring that you have a good level of value and culture alignment with suppliers so that you can form a shared strategy and approach forward. For us, when choosing to partner with Marand and CGI, this was a key part of our selection process, and without this, effective collaboration would be very difficult. Can you share any past experience about spreading the awareness and finding key supporters for digitalisation not just within your team but also broader in the hospital? ‘Our approach has been to build on the work we have already established within the digital programme. Prior to e-prescribing system selection, we had already built a multidisciplinary team, which supported with exploring the ePMA market in the UK. Before we even went into the implementation process, people were already starting to form a picture what would be the opportunities and challenges around the ePMA. What do you see as a key benefit of having a really good team? How can these people help you during the implementation process and make sure that the implementation will be successful? ‘Establishing a team with the right skills and capability has benefited us in achieving a higher level of engagement within the organisation. A good team establishes the right networks, its members collaborate and support each other, they understand what they can learn from others inside and out of the organisation and identify opportunities. When the team functions well, they are able to identify and anticipate issues and problems and work them through. They can get into the proactive mindset to identify challenges and solve them. It is a kind of synergy between the right team members that help them squeeze out those extra few opportunities and take them forward as a group. Register for a free webinar ‘Why do we need ePMA’ recording with Duncan Cripps, Lead Pharmacist for ePrescribing at University Hospitals Plymouth NHS Trust and Roko Malkoč, OPENeP Product Manager at Marand. Digital Marketing expert, who thinks that health data should be open and available for innovation.